Under certain scenarios on the subject of CO2 emissions, by the end of the century the atmospheric concentration could triple its pre-industrial level. The very large numerical models intended to anticipate the corresponding climate evolutions are designed and quantified from the laws of physics. However, little is generally known about these: genesis of clouds, terms of the greenhouse effect, solar activity intervention, etc. 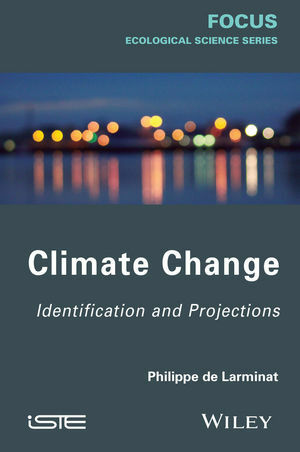 This book deals with the issue of climate modeling in a different way: using proven techniques for identifying black box-type models. Taking climate observations from throughout the millennia, the global models obtained are validated statistically and confirmed by the resulting simulations. This book thus brings constructive elements that can be reproduced by anyone adept at numerical simulation, whether an expert climatologist or not. It is accessible to any reader interested in the issues of climate change. Philippe de Larminat was previously Professor at Ecole-Centrale-Nantes, France. The author of numerous publications and books in the field of control-command, he is an expert in the modeling of processes.